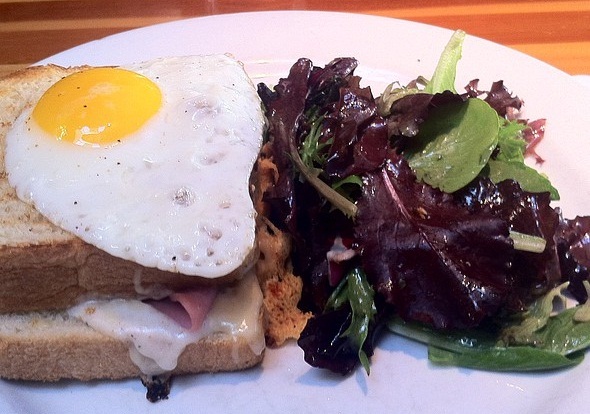 Croque Madame from Chez Maman (San Francisco): Thick slices of buttery, airy brioche bread, with country ham, melted gruyere cheese and béchamel sauce (one of the so-called “mother sauces” of French cuisine) in-between, topped with an over-easy egg. Although it seems easy enough to make, this is by far the best example of a croque monsieur or madame (with an egg) I’ve had the pleasure of encountering. I think the bread has a lot to do with it. Masa Penne from Masa (Los Angeles): Came here to celebrate AK’s birthday in 2012. The deep dish pizza at Masa was great, but the star of the meal was the restaurant’s signature pasta dish. The penne was cooked perfectly al dente and, when paired with the tomato pesto cream sauce, the combination was addictive and just *muah*. Taco Tropical on a Jicama Shell from Loló (San Francisco): A light, refreshing take on the traditional taco. The filling starts with the panko-encrusted and fried shrimp, and the ceviche-like tomato and onion topping (Loló calls it a “tropical relish”), and then everything is topped with an ailoi and a teriyaki-like sauce. 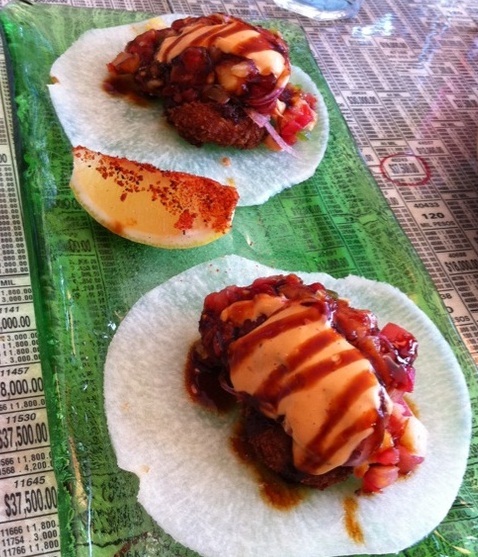 Instead of a grain-based tortilla, Loló uses a thinly-sliced jicama (similar to daikon) wrapper, which is soaked in lime juice to make it pliable. Others agree that this is one of the best things they’ve eaten. Chocolate Croissant Bread Pudding from Chaya (San Francisco): Despite all the hype from the fastest-talker this side of Vietnam, this dessert still surpassed the expectations of S, Nagi and I, so much so that all we could do was laugh, delight in its presence and have another bite. 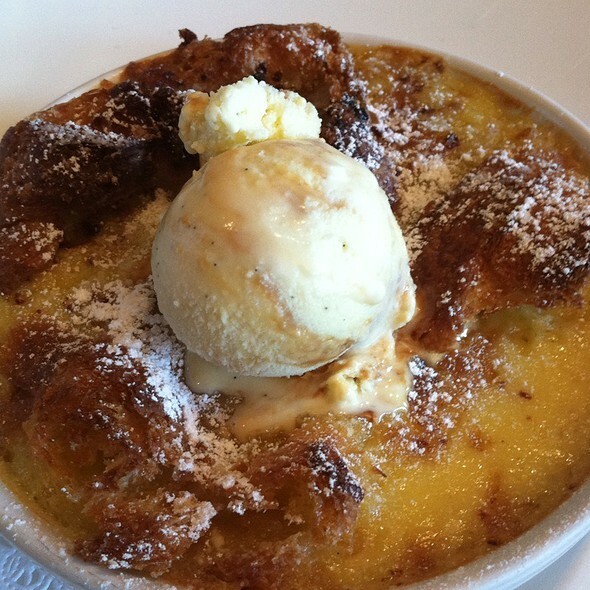 The bread pudding is made-to-order, and comes hot out of the oven with (dulce de leche?) ice cream on top. Chaya has a few locations in Southern California too, so if I ever move there, it is reassuring to know that this exists nearby. Bird Milk Cake from Karina’s Cake House (Glendale): First had this at CC’s wedding. It’s a multi-layered cake that is the right combination of creamy chocolate mousse and coffee cake, and is moist and not too sweet or overpowering. 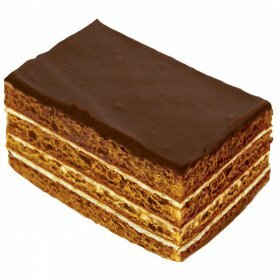 I think it’s also known as an opera cake. Eating a slice of this feels like a celebration in itself. A nice alternative is their Ideal Man Cake, which is a cross between their Honey Cake and Bird Milk Cake.